The beauty of an internship is that you not only gain on-the-ground experience in a field of interest, but you also get to learn about yourself. 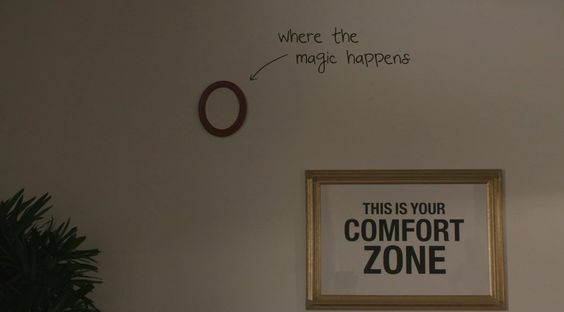 Internships are a growing experience and to grow you’ve got to fling yourself out of your comfort zone (see diagram). This is my mantra as I begin my internship in Washington DC. Let me provide you with a bit of contextual information… I don’t like meeting new people. The thought sets my heart pounding, and when an introduction is imminent my mind can be trusted to compile a list of all possible escape routes. The only way that I’ve discovered to overcome my fear around meeting new people and building networks of professional connections is to turn around and look this fear in the eye (actually). Luckily, DC is THE place for immersion therapy because the town practically runs on networking. During my undergraduate years, I started to develop an affinity for the the wildest and most isolated places on our planet. First it was Walden Pond, then Australia, next Antarctica, after that Alaska, and now the Arctic. No doubt a part of this fascination stemmed from my desire to be far away human contact. Surely there’s no networking in the Arctic (or so I thought). The Arctic allure goes deeper than that though. 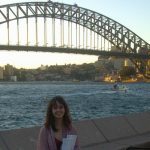 On top of its ethereal beauty and uniquely extreme natural environment, it is an important focal point of climate change research as well as a fascinating mishmash of international governance and policies. The Arctic has it all, and it is changing so rapidly that there is a pressing need for both knowledge and action around a host of Arctic issues ranging from northern community health and well-being concerns to questions on how to regulate shipping as the Northwest Passage opens. Although the Arctic often seems remote from everyday experience, this separation is an illusion, and Arctic issues have a way of affecting us all. During my time at Bard CEP I have devoted much of my research learning about the Arctic. 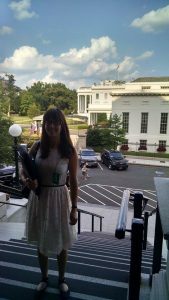 When it came time to take on my program-required internship, my goal to work on Arctic issues was realized, but not quite in the way I had envisioned. Instead of fulfilling my Arctic ambitions by being dropped from a helicopter into the Arctic Circle with only myself as company, I jammed all of my belongings and my dog Joni into my Honda Fit and made the seven hour drive from Bard to DC. My mission was to work for the Interagency Arctic Research Policy Committee (IARPC) on its 5-year Arctic Research Plan, which set to become part of the US Arctic research policy landscape this fall. The IARPC’s mission is to facilitate the collaboration of the Arctic research happening across a range of Federal agencies–NASA, NOAA, DOI, NSF and USGS are but a few examples of the agencies they help coordinate. IARPC sits within the White House or the “Executive Office of the President” and is charged with developing an integrated Arctic research policy and implementing it. To do this, IARPC has developed a nifty way to get groups of researchers (both inside and outside of the government) to collaborate with each other on a regular basis. It’s organized teams of scientists from across different Federal agencies and non-governmental institutions that are researching the same thing–like sea ice, or coastal community resilience–and facilitate them meeting and interacting regularly to share their work and findings. On top of creating a network for researchers, IARPC facilitates inter-agency cooperation on critical issues like atmospheric data gathering, or modeling carbon dioxide and methane emissions from melting permafrost. IARPC brought me in this summer because they are currently crafting their 5 year research plan. My responsibilities have been largely to help assure that the drafting process runs smoothly, take notes in meetings, organize whatever needs organizing, write memos (thank you Monique) and to soak in the knowledge and experience of those around me. Starting soon, I’ll be in charge of monitoring and addressing public comments made on the Plan posted in the Federal Register. You too can comment on the IARPC FY2017-2021 Plan at review.globalchange.gov. So, instead of spending my days in utter solitude, my love of the Arctic led me to the doorstep of the Federal government. It’s quickly begun to dawn on me that my worst fears are being realized. People introduce themselves with sentences like, “I work now for the NSF, but used to work at NOAA and got involved with Arctic policy issues when I was detailed to IARPC.” Besides the explosion of acronyms that characterize the Federal government’s nerdy secret code, this kind of lateral movement through government agencies seems pretty universal for Federal employees. My point here being, the Federal government is ONE BIG NETWORK. Everyone has worked with everyone at some point. I had placed myself, somewhat unwittingly, into the situation I was so hell-bent to avoid when I fell in love with the Arctic in the first place. 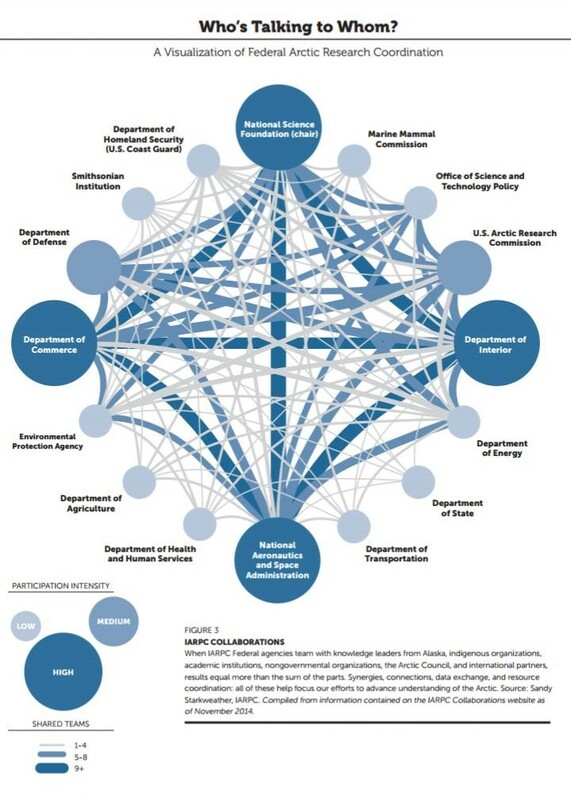 Not only is the Federal government figuratively a vast web of people connected to each other in some way or another, but IARPC itself is based on the principle of coordination….look at this scary graphic. Talk about immersion therapy. I’m starting to realize now that networking is just talking to people, and talking to people is a fabulous way to learn a universe of things I never knew. Also, I’ve come to realize that networking is actually really useful for reasons other than climbing the career ladder. Talking to people in a professional setting expands your sense of the possibilities out there, exposes you to fresh perspectives, and gives you access to years of experience and wisdom. It turns out that, right now, the Arctic needs PEOPLE to understand it and to keep it healthy. I feel infinitely lucky that I get to be part of the network of people and agencies working together towards a better future for the Arctic. I truly enjoyed reading this entire article Meredith. Networking and communications is quite the tool in the toolbox of getting anything fixed. Thank you for posting this wonderful article. Thank you Jean, that means a lot! I hope I get to see you soon! I am thrilled that you are seeing DC in action in ways that are meaningful and that represent the kind of knowledge management and institution building that we studied in class. Wonderful for you to experience that first hand and I can’t wait to find out more! And here’s to memo writing! Thank you Monique, can’t wait to chat about it later this year! I loved your summary of DC culture. I lived there for a year and a half while completing 2 different internships. It is unlike anywhere else in the world when it comes to networking. I was shocked when I went out with friends for the first time and people were exchanging fancy business cards at a dive bar! Thanks for sharing and I hope you continue to fling yourself out of your comfort zone! As a first year Bard CEP, it is reassuring that there is a possibility to have that internship that gets you out of our comfort zone and a one-of-a-kind on the ground experience at the places where change is happening. I am inspired by your love of the arctic and how you’re trekking through the chaos of DC and government networking. I am curious how you’re CEP coursework is aiding in the work you’re doing with the IARPC? Has this experience in DC influenced your passions for work with the arctic or other environmental problems in general? But more importantly, is there any sight of actually going to the arctic and seeing the work implemented in the future? I’m hoping that it could become a reality for ya!